Get in touch with Gardening Angel today to get the best lawn and garden service in St Albans. Speak to us on 0467 001 100! If you are living in St Albans and you are looking to get your lawn and garden back to looking its best, then you can reach out to the professionals here at Gardening Angel. We have everything you need to ensure that you get the complete service with us. Our aim is to guarantee that you get the perfect garden and lawn you want, so you can relax and enjoy yourselves! It is our aim to get your garden and lawn looking and feeling amazing. We can do this by listening to your requests and your requirements and adjusting our services to do it. We have a list of strong services for you, but two of our most popular options are our lawn mowing and garden maintenance options. We guarantee you that we can get your St Albans looking amazing after we work on it. If you are looking for additional services that can help you with your project and property, then we can add them on. These services can make the difference in the long run. They include the following options: Spraying, Whipper Snipping, Hedge Trimming and Pruning, Green Waste Rubbish Removal, Weeding and Weed Control. Maintaining your garden and lawn takes a lot of hard work – that is why we are ready to help you when you need it. 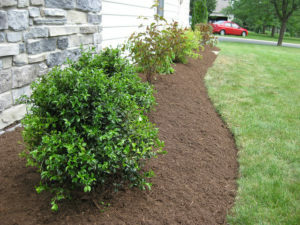 Don’t waste your weekends, public holidays or weekdays by getting your landscape back in order. Gardening Angel can do it for you. We are ready to give you back your free time and manage it all for you. We can work on all types of properties and landscapes in St Albans – so reach out to us today!